The film has many famous actors. Gaining fame Jason Clarke, who is now well-known to us from the last Terminator Genisys, now plays a major role in this fascinating thriller of conquering the top of the world. Before that, he successfully acted in Dawn Of The Planet Of The Apes in 2014, and The Great Gatsby in 2013. Sam Worthington, Keira Knightley, Jake Gyllenhaal also made great cast structure. It is a pity that their roles are not the main but auxiliary. The main team of explorers consists of other actors, which you may yourself find at IMDB. 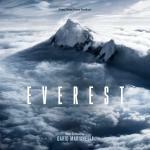 The film tells the story about the difficult path of those who decided to conquer Everest. With a budget of USD 55 million, the film has raised USD 158 million, despite the fact that at the date of writing this review, it continues rolling. We must remember that Mount Everest – it's not just the mountain, but one of the most dangerous places on Earth. Its slopes are dotted with hundreds of bodies of those who did not take it seriously. Who did not think that the preparation for the conquest of top takes several months and even perhaps a few years. That there should be an expedition. Where every detail plays a big role. If you're there, at the top, where the huge winds blow, where the temperature is minus 40, where oxygen drops by more than half, you may need additional oxygen tanks. Otherwise, if you don’t, you die. Where one wrong step makes your death really possible. The music is chosen different and that we adore in this film. Here Comes The Hotstepper is dance and All I Wanna Do is pop. Banjaara is ethno pop. Among celebrities, we meet Sheryl Crow and Ini Kamoze.